Drip style coffeemakers are abundant. Walk in to any department store, and there will likely be several, many under $50. The problem with most of these coffee brewers is that they do not reach optimum coffee brewing temperature of 195F-205F (90C-96C), as outlined by the Specialty Coffee Association of America (SCAA). And for the few brewers out there that might reach the correct temperature range, there is no telling where in that range it will fall, let alone the ability for the user to select the exact temperature desired. For years, espresso enthusiasts have had the ability to set the exact temperature, as seen in models like the La Spaziale Vivaldi and Izzo Alex Duetto. Espresso folks also know that the difference of just a degree or two can actually change the flavor of the coffee significantly. Some espresso machines also allow for a pre-infusion of water, which some say also enhances the extraction and thus the flavor. 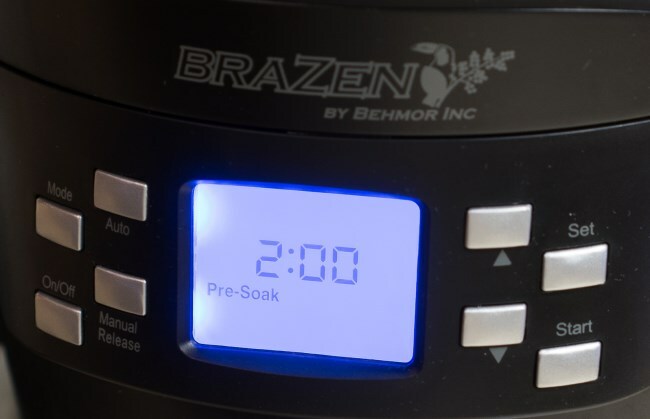 With the Brazen Brewer by Behmor (makers of the venerable Behmor 1600 Coffee Roaster), now the drip coffee enthusiast can be assured of a proper temperature range and the ability to dial it in to an exact temperature, as well as a pre-soak feature. The pre soak feature is said to enhance flavor, and can also help with “bloom”, a phenomenon where very fresh coffee can expand too much, causing overflow. 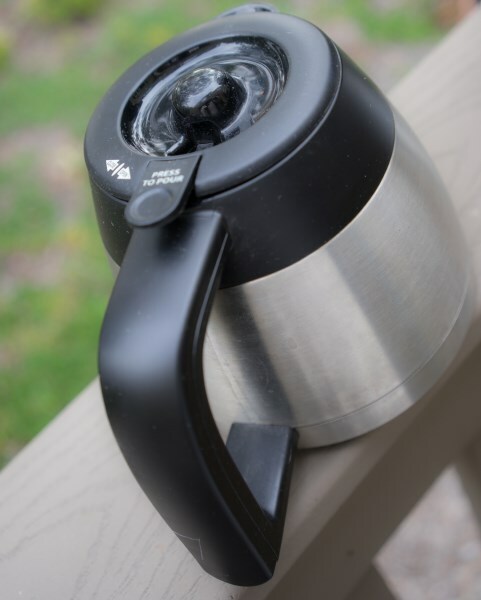 Manual Water Release Feature, which means you get a carafe of water with a precise temp for use in tea or other pour-over systems such as the Melitta Cone, Clever Coffee Dripper, or even French Press. 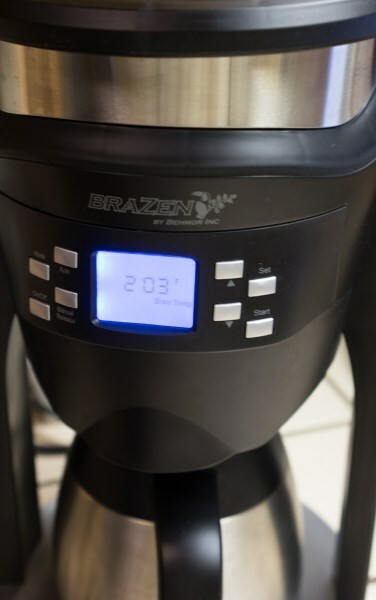 Instead of walking you through how to use the Brazen Brewer, I am going to touch on some of the more specialized features that sets this machine apart from many other brewers. Malawi at 198F – Good caramel flavor, but mostly rounded and mellow. Malawi at 202F – Really came alive! Oreo cookie, honey, tobacco prominent finish. Congo at 198F – Earthy, Fruity, and a nice sweet finish. Congo at 202F – Somewhat indistinct, finish a little bitter. I think it is clear that this is a feature that you need (even if you did not know it). I live pretty much at sea level, so I cannot really say if the calibration did much, but I can imagine at higher altitudes, this feature could make a big difference in dialing in your brew temp. So I did have problems with bloom on some of my fresher coffee, and allowing a pre-soak time of about 2 minutes helped a lot. I did a taste comparison with 0, 2, and 4 minute Pre-Soak times on some not very fresh Peruvian coffee, and I did not notice much of a difference in flavor. I suspect it might have made a difference with fresher coffee. But just controlling the bloom with pre-soak was awesome. This is really cool. 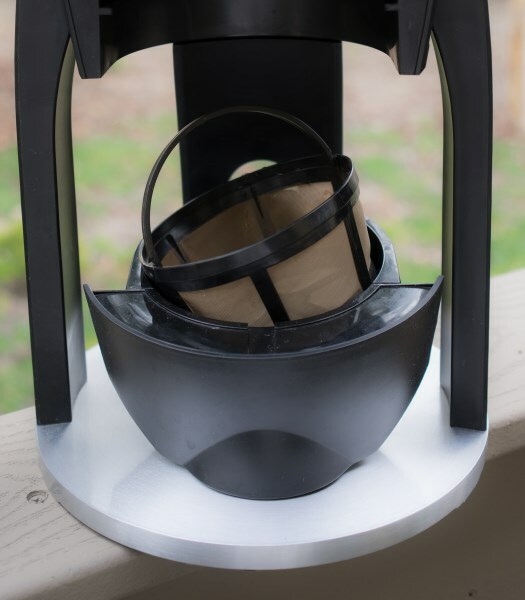 You can take out the basket completely and fit your own pour over brewer like the Chemex underneath for direct brewing. Just be sure to make sure the volume of water you put in the reservoir does not exceed your vessel. 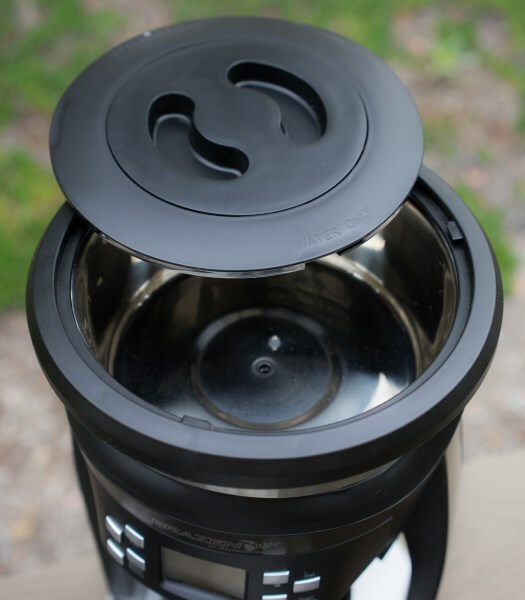 This is similar to the Direct Brewing Feature, but instead of brewing direct, you set your precise water temp, and have it dump all that water into the carafe. Think of it as a very precise hot water kettle. Now you can use this in tea, or some other pourover coffee systems that you may want a little more control over, such as the Clever Coffee Dripper, Melitta Cone, or even French Press. I have owned and still own other SCAA certified coffeemakers; the Technivorm Moccamaster and the Newco OCS-8. I ended up selling the Technivorm long ago, but still have the Newco, mainly because it is plumbed in, and is easy to just hit a switch. But now that I have the luxury of setting a precise temp and pre-soak time, I find myself using the Brazen 8 times out of 10. Maybe Joe Behm will consider a plumbed-in version in the future. Do yourself a favor and go buy one right now. 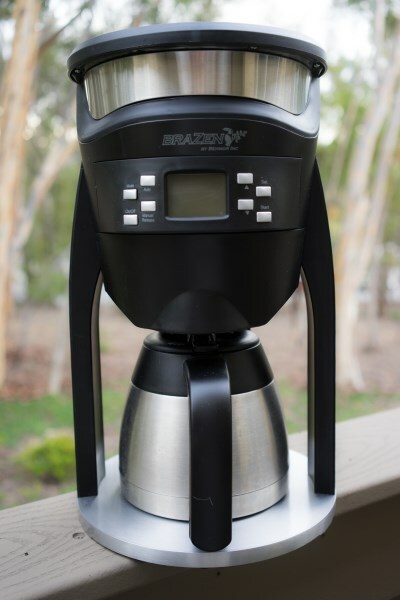 Unless you need a plumbed-in coffeemaker, there is nothing out there that comes close to the Brazen Brewer.